In the lead up to the 2014 Singapore Grand Prix TAG Heuer is running a contest where any member of the public can test their reaction speeds on a Batak machine. The top three contestants then go head to head with Formula One driver Kevin Magnussen on 18 September, with a prize of a pair of $9300 paddock tickets. 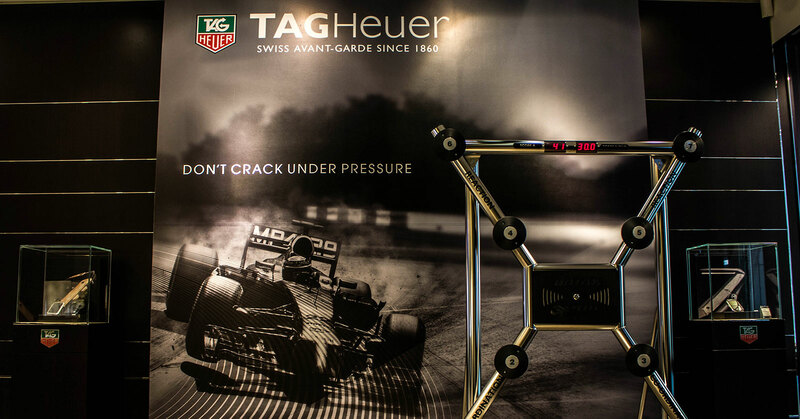 The 2014 Formula One Night Race in Singapore takes place from 19 to 21 September and TAG Heuer has installed a Batak machine in its Wisma Atria boutique to find the fastest pair of hands in Singapore. Used to develop Formula One drivers’ hand-eye coordination and reaction times, a Batak machine comprises several LEDs on a steel frame that light up at random, with the player having to strike each LED as quickly as possible. A large LED screen in the centre counts each hit. The three quickest pair of hands will get to compete with McLaren driver Kevin Magnussen on September 18, with the eventual winner getting a pair of paddock tickets to the Singapore Grand Prix worth S$9300. Anyone can participate from now until 17 September at TAG Heuer’s store in Wisma Atria: 435 Orchard Road #02-34/35 Wisma Atria Singapore 238877 Tel : +65 6736 23 57 Open 10:30 am to 9:30 pm daily.